21 years dedicated to physical therapy equipment. Compared with other products in the same category, tens units has more advantages, specifically in the following aspects. 's electric muscle stimulation can be used in many industries.With a focus on customers' potential needs, has the ability to provide one-stop solutions. SUNMAS is a unique wireless remote controlled pain relief device incorporating TENS technology to specifically target back pain. The thin and flexible design perfectly contours the back for maximum surface contact. This innovative device is safe, drug-free, easy to use, discreet and comfortable to wear, and most importantly allows you to control your pain to maintain an active lifestyle. ◪ 1. Remove the clear protective films from both gel pads on the device by slowly peeling the films. DO NOT discard the protective films as the protective films will be reapplied to the gel pads for storage after use. Take care to not touch or allow objects to come in contact with the gel pad as this may interfere with the adhesion properties of the gel pads. ◪ 2. Place the device on your abdominal area. Make sure the gel pads make good contact with the skin. ◪ 3.Press the ON/OFF button on the Wireless device. The blue light will begin blinking. 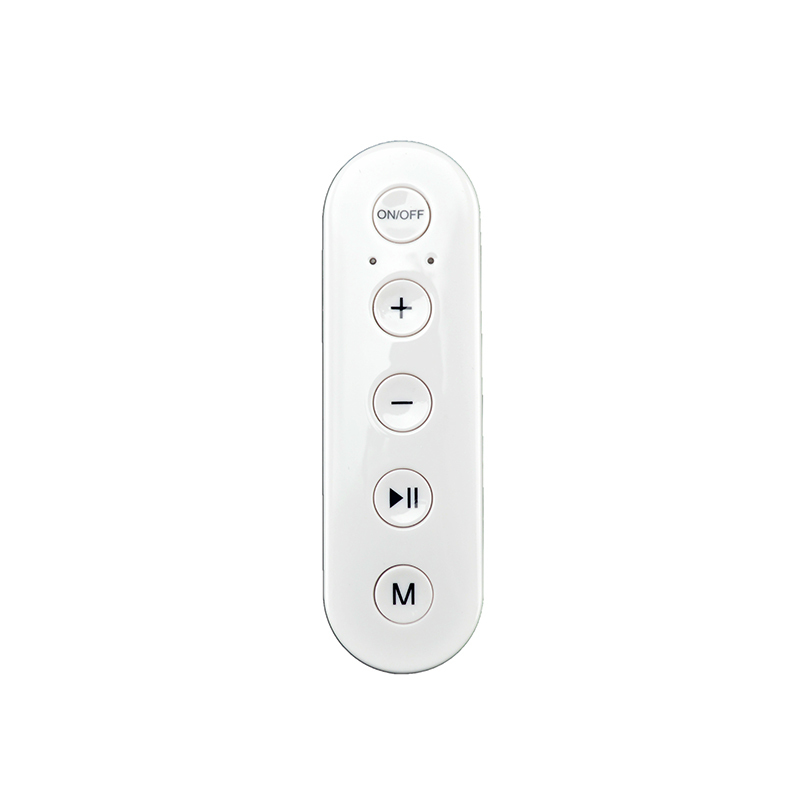 ◪ 4.On the remote control, press the ON/OFF button first and choose MODE button. The light is on and the device will automatically show MODE 1. There are 6 modes in the unit. Press M to change the mode. ◪ 5. Treatment will automatically stop after 20 minutes. Treatment can be stopped at any time by pressing the ON/OFF button on the remote control. DO NOT remove the device until treatment has stopped. ◪ 6.Press the INCREASE INTENSITY (+) button to increase the stimulation to a comfortable level. To decrease the stimulation intensity anytime during treatment, press the DECREASE INTENSITY (-) button. When the user switches the mode, the intensity will automatically go down to the minimum for safety reasons. ◪ 7. If you need to pause the device, just press the pause button. You could use it again by pressing the pause button again. ◪ 8.If you need to turn off the device during stimulation, only press the OFF button on the remote control. Put the protective films on the pad for storage. 1. At present, 2018 GShenzhen L-Domas Technology Ltd.'s production scale and product quality of wireless tens unit are in the domestic leading position. 2. The Domas R&D team has a forward-looking vision for tech development. 3. What is most proud of 2018 GShenzhen L-Domas Technology Ltd. is that we have outstanding tens unit wireless talents who are working hard to build a 'world-class wireless tens machine enterprise group'. Call!